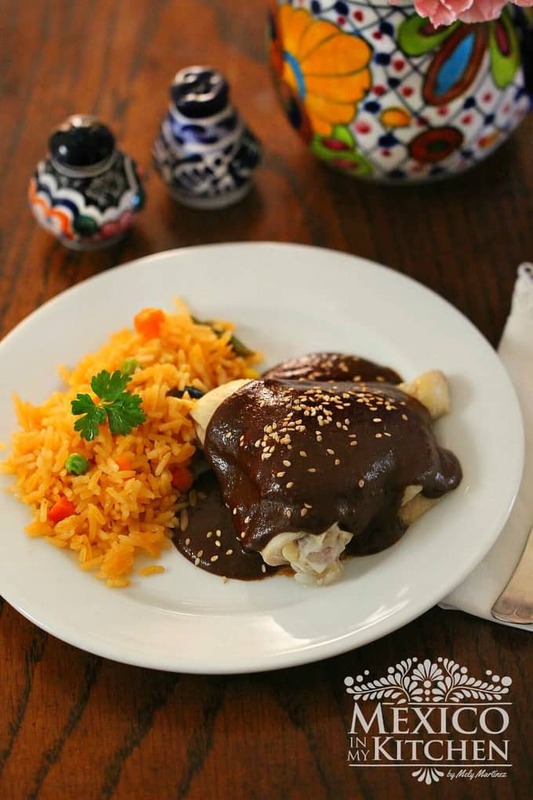 Enchiladas Suizas | Mexican Food Recipes, Quick and Easy. In Mexico, we have a popular saying: “these are not enchiladas”. It is often used when you want to tell someone that something isn’t as easy as, say, making enchiladas. 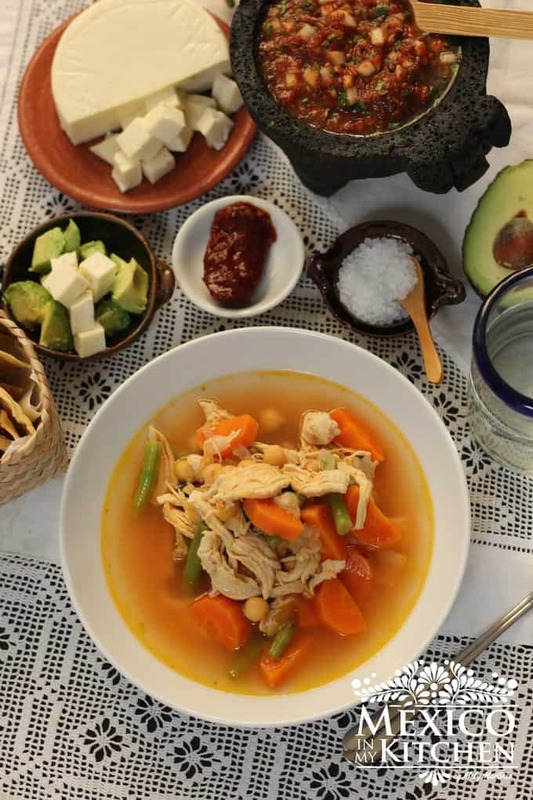 I guess it refers to the fact that corn tortillas, salsa, and cheese are common staples for the Mexican home cook, and that you can quickly prepare this meal by dipping the tortillas into the sauce and topping them with crumbled cheese. However, for those who don’t always have a ready-made salsa at home, it might not be that easy. That’s why I’m making this recipe using some leftover rotisserie chicken and Herdez Tomatillo Verde Cooking Salsa. Having two of the main ingredients already prepared, this delicious meal will be easier to cook, and in less time. The best part is the end result; I promise that you will love them! If you are a frequent reader of this blog, you are familiar with the fact that I like to use fresh ingredients in my cooking, yet I’ve decided to try the Herdez cooking salsas for three reasons: first, because my sisters and aunts back in México are all home cooks and speak highly of the quality, convenience, and versatility of Herdez’s salsas; second, because of the natural ingredients found in Herdez’s products, and third, because Herdez is a company that is dedicated to keeping the national culinary tradition of Mexican culture. Heat a skillet over medium heat; warm one tablespoon of oil and warm the tortillas one at a time to soften, giving it just a few seconds per side. Add the rest of the oil as needed. Besides softening them for easy rolling, another reason is that we do this is to keep the tortillas from breaking. Transfer onto a plate covered with paper towels to drain any excess oil. Preheat your oven to 350°F. Spread 1/3 of the sauce in a greased 9″ X 12” baking dish. Or individual oven-proof plates, if you prefer. Arrange the enchiladas in 1 layer, seam side down. Cover with the rest of sauce; sprinkle with cheese. Bake 25-30 minutes or until cheese starts to brown. Serve immediately and garnish with onion slices. 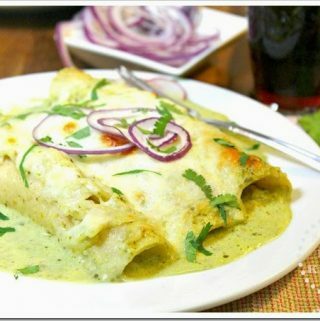 Enchiladas Suizas, Having two of the main ingredients already prepared, this delicious meal will be easier to cook, and in less time. The best part is the end result; I promise that you will love them! a delicious and elegant dish that’s perfect for a nice dinner. Place 1 cup of de Herdez “Mexican Cooking Salsa Verde, Mexican Cream, cilantro and garlic clove in a blender, process until you have a smooth sauce. Mix with the rest of the Herdez salsa verde and set aside. If you want to make this dish spicy, add 1 or 2 chopped jalapeño peppers to the blender in step 1. For those of you, that want to make your own Salsa Verde, follow the recipe HERE and double the amount, since you will need about 4 cups of salsa. Do you receive any benefits from Herdez products for using their name? Hello Wayne, I am a partner with Herdez Traditions for the month of April. As I mention above, it is a company that truly looks to preserve the National Culinary Tradition with authentic Mexican products. I hope you try the recipe. Your enchiladas look really good! With the quick cooking sauces makes it even more easy to prare for a weeknight meal. This looks so yummy! I think I will be making this for Sunday dinner. I made the chicken thigh recipe with the red Herdez sauce and it was so goooood!! I am so glad you tried the recipe for the baked Chicken Thighs. The salsa verde is also great! Made these last night. Big hit with family! Delicious and easy. Just made this tonight. I added chicken broth and oil to the chicken to make sure it wouldn't dry out. I thought the sauce was too sour, not like the ones at the restaurant. . I like it more rich and less tangy. And it was medium spicy, not mild as the jar says. I am so glad I found Mexico in my Kitchen. I will make this delicious dish tonight. I hope your family likes it! Happy cooking! firstly, I must say I am not a big fan of processed fooods. Since tomatillo not currently not in season. What the heck! It’s not bad, but I did find this dish was rather sour. I will make the homemade sauce next time. Hello ..thank you for the recipe !! I will make them this Sunday .. I don’t have sour cream on hand, can I use cream cheese instead? I know its a way different texture. Yes, you can use the cream cheese as a substitute on the enchiladas suizas. My store only carries the red Herdez cooking sauce. 😒 I ended up buying the regular Herdez salsa verde. Will it work, with this recipe? Yes, that will work, too. You can also make your own salsa, search for the recipe here in the blog.